From her fame and fortune to her many relationships, Cher is one of the most iconic celebrities on the planet. 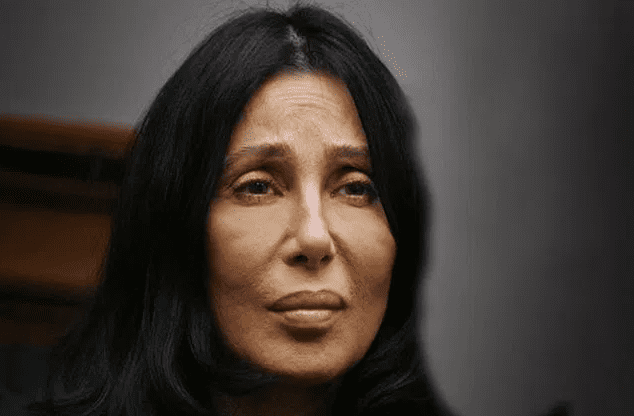 These are the heartbreaking details about Cher’s life that most people don’t know. 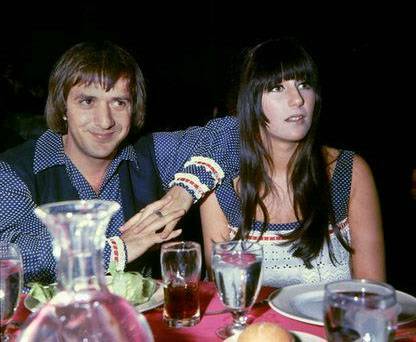 Cher met Sonny Bono when he worked for music producer Phil Spector. However, it wasn’t exactly love at first sight as Sonny asked Cher to work as his housekeeper. As far as Cher was concerned, it was an opportunity she could not refuse, especially because she wanted to make it in the music industry. Soon enough, she provided backup vocals on songs such as “Be My Baby” by the Ronettes. Eventually, the pair became involved romantically. However, Sonny and Cher’s marriage is shrouded in mystery. What can be confirmed is that the couple recited their own vows in a hotel room in Tijuana. No relatives, friends or official ministers were present for the “wedding,” but the newlyweds didn’t care. 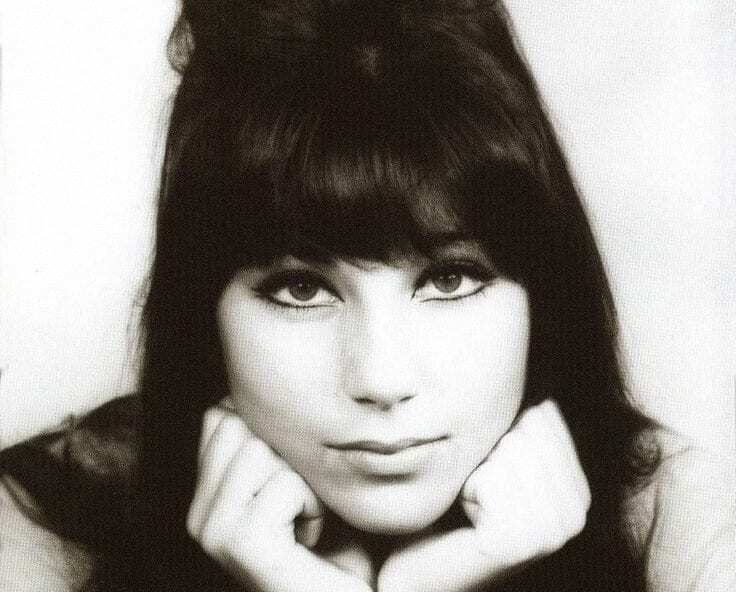 Cher, who was 18 at the time, exchanged cheap souvenir rings with Sonny. Despite this, the couple had their names engraved on the wedding bands. When Cher released her single “If I Could Turn Back Time” in 1989, no one could have anticipated the controversy that would come with it. The song’s music video saw the singer surrounded by sailors and dressed in the most inappropriate of costumes. The Navy felt deceived because Cher had informed them that the video would tell a much more innocent story. The incident changed her reputation forever. But ironically, she never wished she could turn back time. Unlike the 60s, the following decade did not treat Sonny and Cher well at all. Despite appearing to be united throughout the 70s, their relationship took a turn for the worse. Sonny revealed in his diary that, “The public still thinks we are married, that’s the way it has to be.” But it didn’t take long before Sonny chose to separate from Cher. However, Cher accused her husband of preventing her from spending money from their shared earnings. 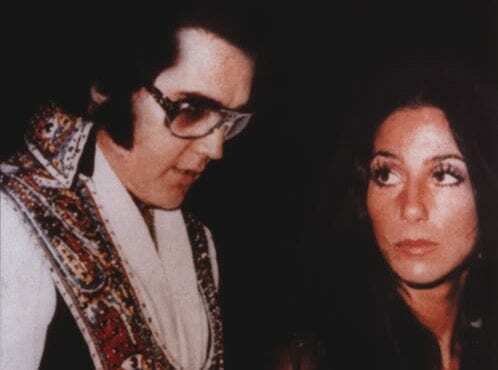 Soon after her separation with Sonny, Cher received an invitation from none other than the King himself, Elvis Presley. She told David Letterman that Elvis asked her to come to one of his shows in Las Vegas. “I was about to do it and thought ‘No, I don’t want to,'” she said. “I’ve regretted it ever since!” There is no telling where life would have taken the pair had they ever been romantically involved with one another. 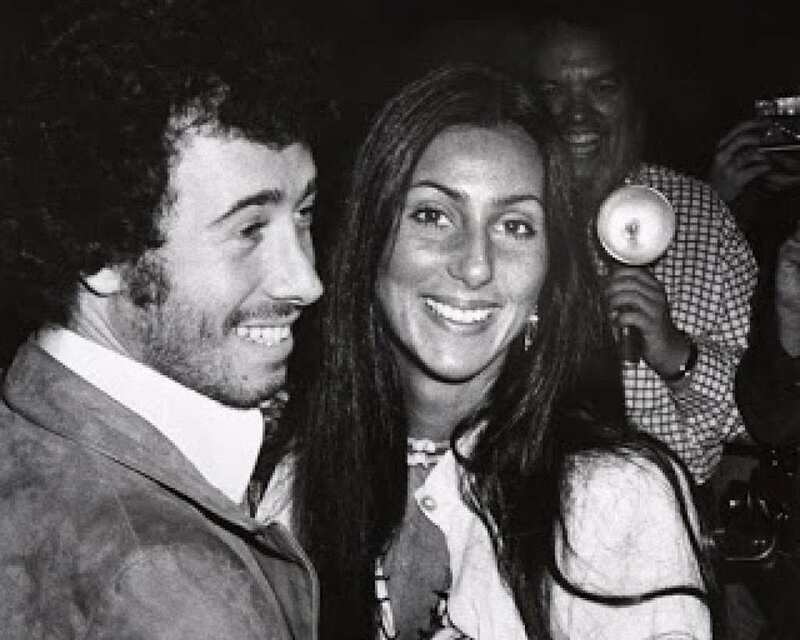 During a long-winded divorce, Cher was romantically involved with businessman David Geffen, who ironically helped her sever professional ties with Sonny. Geffen took the singer’s career to the next level after striking a $2.5 million deal with Warner Bros Records. Cher started to record music for the label midway through the 70s and her fortune skyrocketed. 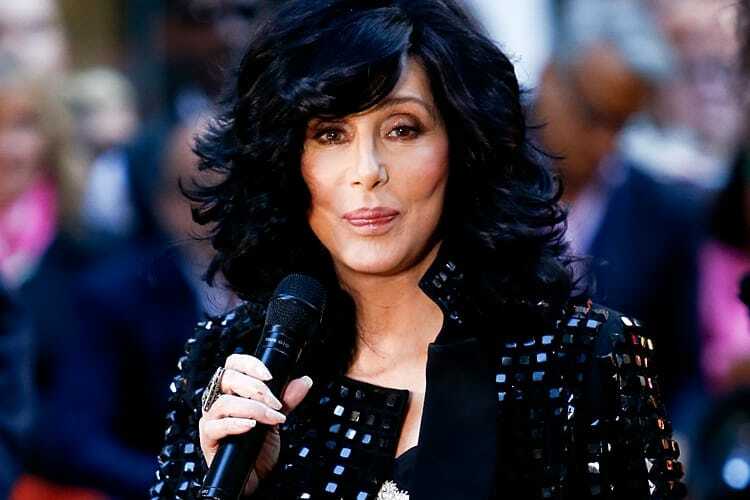 Despite breaking up after two years together, many cite Geffen’s business intervention as the main catalyst for Cher’s further rise to fame and fortune. 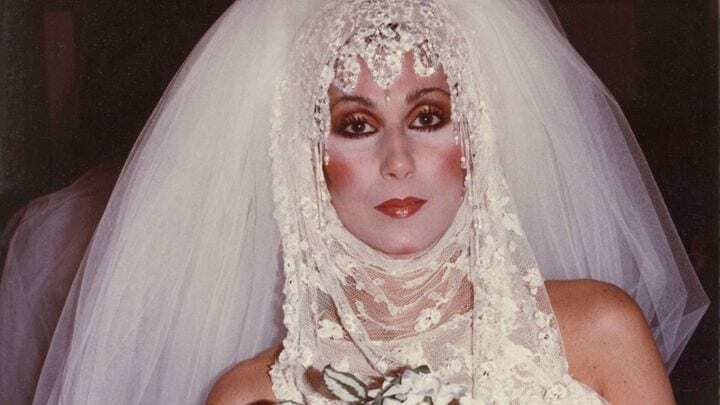 After coming off the back of a heavily publicized divorce and things with Geffen not working out, Cher knew that she needed to make some changes. She decided to make her life more private and distance herself from the limelight. But after this career hiatus, she hit back in 1979 with the disco album Take Me Home. This was followed by a hugely successful show in Las Vegas, where Cher earned a staggering $300,000 per week for two years straight. 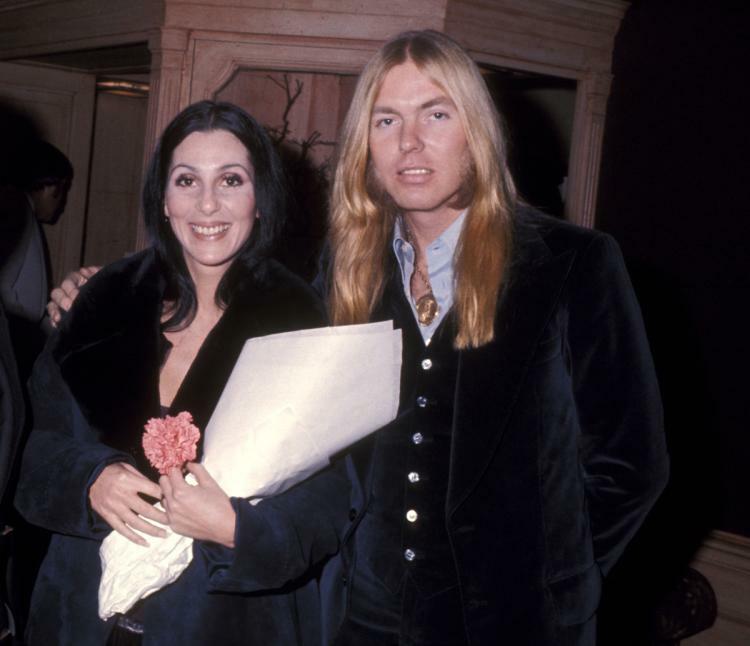 When Cher married musician Gregg Allman, it had only been four days since she officially divorced from Sonny. However, the newlyweds would be instantly rocked by Allman’s problems with illegal substances and his new wife filed for divorce after just nine days of matrimony. But the split would be temporary, and the two reunited after a month apart. In 1976, the couple welcomed Cher’s second child, Elijah Blue. But Cher and Gregg’s partnership would continue to have its fair share of problems. In 1967, Vogue’s editor at the time, Diana Vreeland, noticed Cher at a Presidential party and just sight of her igniting something in her heart. 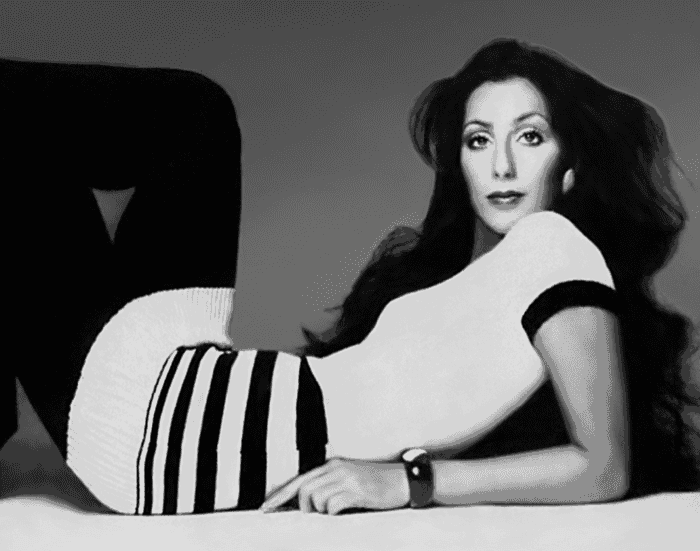 It wasn’t long before Cher started posing for the magazine, with her first photo shoot taken by Richard Avedon in 1969. The photographer took the shots of the singer in black and white, posing in a variety of beautiful ways. Some of the features that captured Vreeland’s attention were Cher’s long black hair and her height. In 2006, Cher put on a massive auction in her Malibu estate, selling off many pieces of furniture, paintings and ornaments. Other items that made up the auction included memorabilia gathered over the course of the singer’s career, as well as jewelry and costumes from shows. The auction made a staggering $3.5 million with part of the proceeds going to charity. Some purchasers resold items on eBay, such as a necklace that fetched $90,000, as well as a bed that went for $80,000. From a very young age, Cher was always quick to break the mold and act differently to other women of her time. She would often have awkward moments with people in interviews as well as wear dresses that caused fierce backlashes. She would often reveal too much, and wear clothes that were not considered socially acceptable at the time. And this wasn’t just in her a youth. Cher continued to push the envelope where her behavior was concerned. This was eventually followed by Chastity’s decision to become a man, changing her name to Chaz. 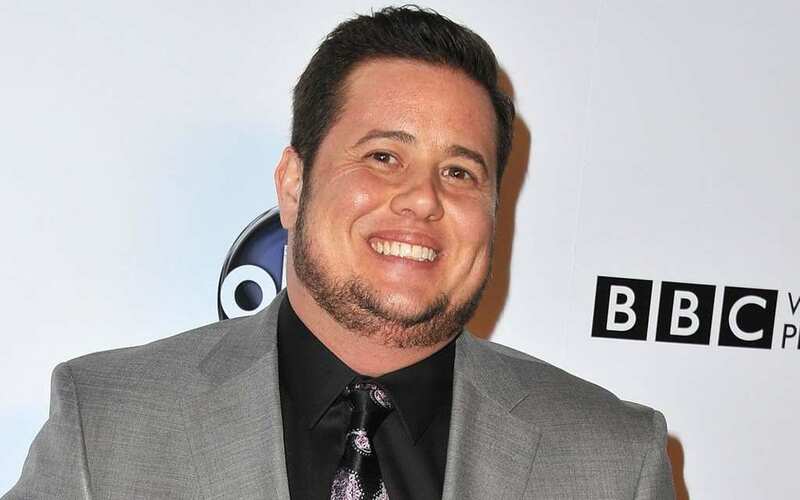 His publicist released a statement on behalf of him, saying, “It is Chaz’s hope that his choice to transition will open the hearts and minds of the public regarding this issue, just as his coming out did.” After revealing his intentions to the public, Chaz legally became a man in 2010. After submitting a request to a Californian court, he was allowed to change both his gender and name. This obviously must have been a complex time for Cher. Despite initially fully backing Chaz’s decision, she admitted later on in life that she did struggle with it. In her words, it was, “A strange change for a mother to go through.” Her main concerns included not being able to recognize him after his transformation. Also, she asked Chaz to keep his answering machine message with his previous voice so that she could remember how he used to sound. Tragedy turned its ugly head in 1998 when Sonny Bono died in a skiing accident. And only a few weeks prior to the untimely event, both Sonny and Cher received stars on the Hollywood Walk of Fame for their contribution to the arts. Soon after Bono’s death, Cher had a book published and wrote down all her major “first-time” life events. It shouldn’t be a surprise that many of these milestones included Sonny, but she couldn’t ignore her former lover’s passing. Like many high profile celebrities, Cher has used her name as a source of income through a variety of endorsements. But some of the singer’s endorsements have been ludicrous, to say the least. In 1994, she thought it would be a good idea to launch her own home furnishing line, described as, “A sort of medieval L.L. Bean.” Also, she helped promote many skin and health care items in a series of infomercials. For Cher, this is just one business venture of many. Despite always being known for her immense beauty, Cher has had her fair share of plastic surgery. Her procedures have included work on her breasts, nose, face and she has even received veneers. In response to the persistent rumors of falling under the knife, she said, “Yes, I have had a facelift, but who hasn’t? I have become the plastic surgery poster girl.” She has also been rumored to have had ribs removed, as well as being the recipient of botox. 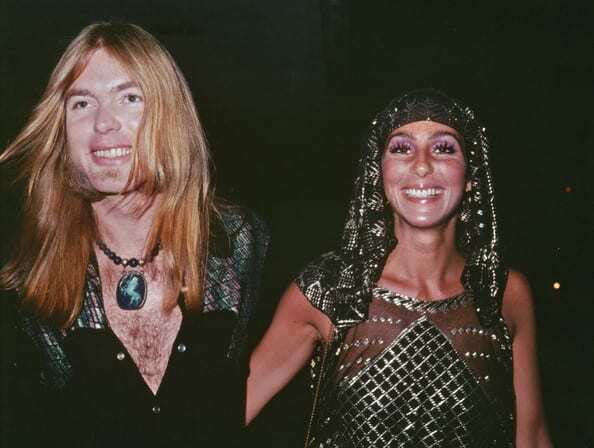 Cher faced more loss later on in life when her husband Gregg Allman passed away. The couple were happily married for four years and his untimely passing hit her hard. She tweeted, “Words are impossible, Gui Gui.” But it was over forty years ago when Cher said in a magazine interview, “Nobody ever made me feel as happy as Gregory did…he’s wonderful.” She attended his funeral and was naturally, very emotional. He was 69 years old when he lost his life. Billboard gave Cher one of the highest honors a pop star can receive when they presented her with the Icon Award. This was for being “one of the most dominant figures in music and entertainment for more than six decades”. A true star who has adapted through the many changes of pop music, Cher has been ever present on the charts the majority of her life. After receiving the award, she thanked Sonny for giving her first break all those years ago. 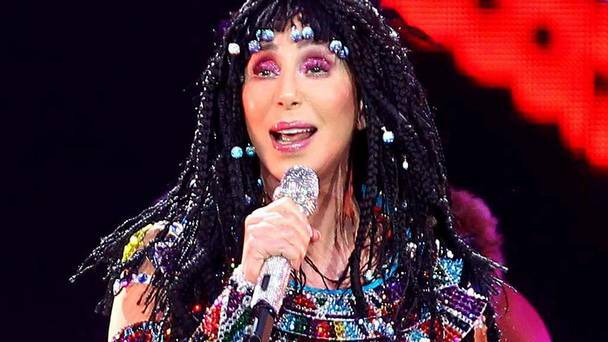 In the 80s, Cher was diagnosed with the Epstein-Barr virus, which the star has lived with for over three decades. A virus with no cure, the illness has proven to be physically debilitating for her over the years. A few years ago, Cher had no choice but to cancel part of her Dressed To Kill tour as a result of her illness taking a turn for the worse. Naturally, many fans poured their hearts out hoping that she would overcome the virus and continue performing. 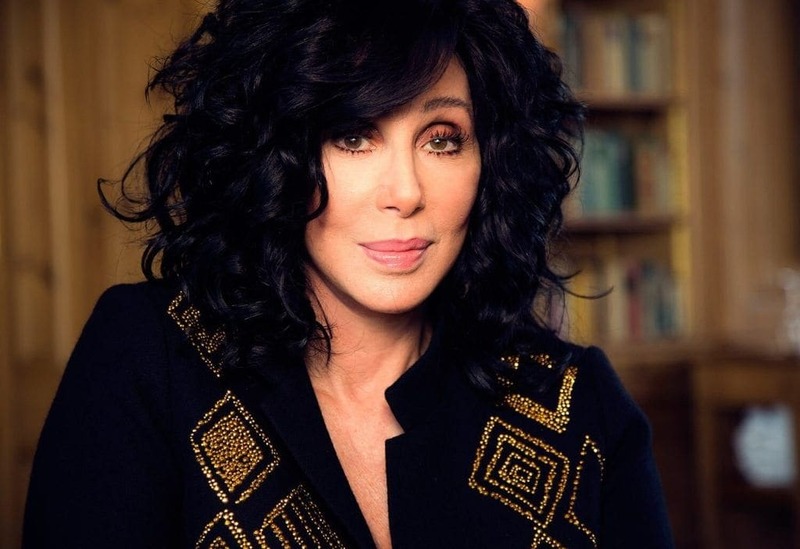 Cher has often worked to help others after exploring various philanthropic causes. These include work ranging from health research to poverty, also speaking up for war veterans, children suffering from abuse and neglected patients. She has launched her own fund, which supports charities such as Operation Helmet and Intrepid Fallen Heroes Fund. Cher’s other humanitarian work has included working as an advocate for AIDS awareness. Cher has hosted many events in aid of the cause alongside stars such as Elizabeth Taylor. 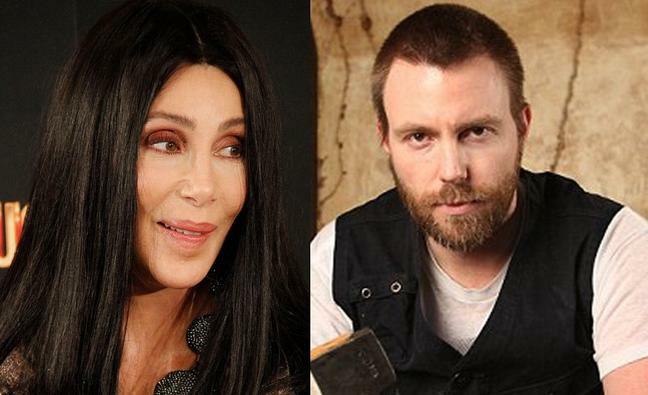 One of Cher’s more peculiar relationships came in 2008 when she met biker Tim Medvetz. 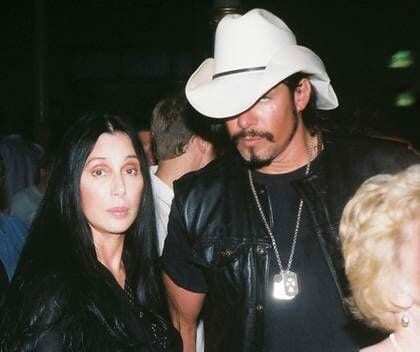 Friends introduced the former member of Hell’s Angels to her, who happened to be 24 years younger than Cher. But despite their differences, they connected and it was the start of a passionate on and off relationship. Tours and work threatened to tear the two apart, but after making it work, for a little longer at least, their wedding plans fell through. While in fifth grade, Cher put together her own rendition of the musical Oklahoma!. She rounded up some friends and choreographed the entire production, before unveiling it to her teacher and classmates. Even though she was unable to recruit boys to take part in the musical, Cher took it upon herself to provide vocals for the male parts. She seamlessly pulled off the male voices due to her natural low voice, and everyone loved it. Early on in her career, Cher suffered from extreme stage fright and did whatever it took to not have to perform alone on stage. This was problematic for Sonny, who wanted to help her get off the ground as a solo artist. This was ultimately why Cher started off performing alongside Sonny and she would hide her shyness by looking into Sonny’s eyes. It was this technique that eventually helped her grow in confidence. This was only after their disappointing time as Caesar & Cleo. 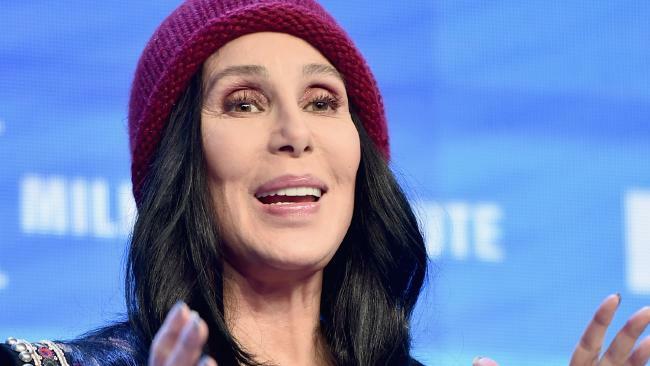 In a peculiar interview with Maria Shriver, Cher spoke about herself in the third person, but admitted that she’s not her biggest fan. “I’m never satisfied. 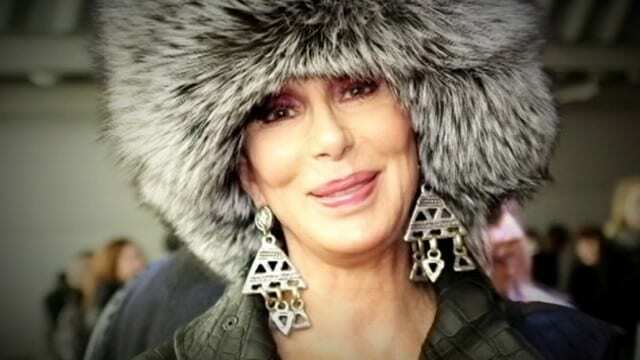 I’ve never really been in love with Cher,” she said. “She’s all right, but it’s like I’m not a huge fan.” Despite this, she believes that she has earned her success through hard work and persistence. Also, she’s a humble individual, claiming to only see an average human being whenever she looks in the mirror. One of the most popular technologies in pop music today was originally pioneered by Cher, of all people. Everyone from Kanye West to Justin Bieber uses autotune to enhance their voices in many of their songs. 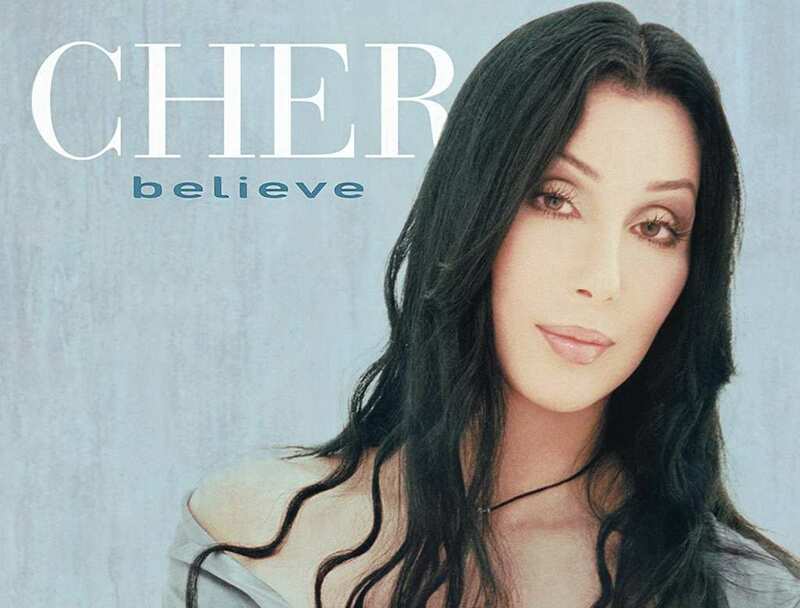 But it was Cher who started the trend way before it was even a trend when she released the hit single “Believe” in 1998. All that producers Mark Taylor and Brian Rawling did was turn the voice speed setting down to zero and Cher did the rest. Even as the years have passed by, Cher has maintained a fantastic figure. Many speculate that plastic surgery has had a big part to play in her physical longevity. However, Cher insists that regular exercise and maintaining a strict diet has been more significant than anything. Fans often refer to her as a 70-year-old with the body of a 20-year-old. She even bragged about her physical prowess while accepting an award, claiming that she could do a five-minute plank. Cher never let her stardom or the many hours spent in the studio stop her from a top class education. Despite not being the cleverest in her class, she excelled in many areas of school life and overall achieved good grades. Naturally, she was particularly talented in subjects that revolved around creativity such as art, drama and even English. And above all, she was an avid and talented music student. Her formative years in education certainly stood her in good stead for the future. 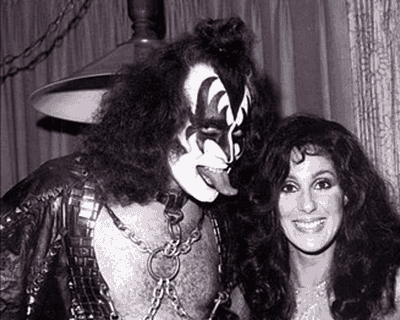 Cher reportedly took her romantic interests into the world of heavy metal when she started to date KISS talisman, Gene Simmons. When she spotted Gene at a party, she ask him to sign an autograph for Chastity. They hit it off instantly, but due to their busy schedules decided to keep things open. “He might spend the night with other women, I also have a very masculine attitude to dating, but Gene is the one I’m crazy about,” she said. Even before Sonny and Cher had a successful spell as a duo, they both worked as backup vocalists for many artists signed under producer Phil Spector. You can hear the pair on some of Spector’s biggest records. 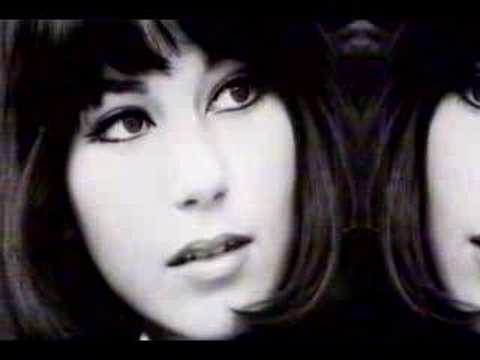 These include the Crystals’ “Da Do Ron Ron,” the Righteous Brothers’ “You’ve Lost That Lovin’ Feelin” and the Ronettes’ “Be My Baby.” Eventually, Spector recognized Cher’s potential for individual stardom and produced her debut single, “Ringo, I Love You,” which happened to be a flop. Cher hasn’t just accumulated her stunning net-worth through musical endeavors. Yes, she has a released a long string of top 10 singles and albums that have sold millions of copies worldwide. However, she has also been incredibly successful through her appearances in major feature films. Some of her finest performances have come in hit movies such as Silkwood, Mask, and Moonstruck. Cher has also been a huge hit in Las Vegas, replacing Celine Dion as a regular fixture at Caesar’s Palace. Cher went through some tough times during her formative years. 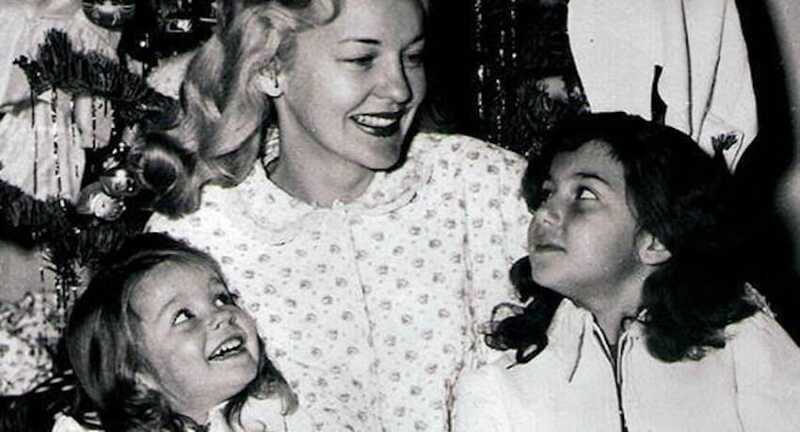 Despite having a great relationship with her mother Georgia, Cher would often be placed in an orphanage due to her mother’s busy schedule on the road. This meant that there were times when she would have to stay at the orphanage for many weeks in one sitting. Cher has been vocal about these tough times in many of her biographies. But nowadays, this mother and daughter have been able to have a better quality of life together. In a bizarre interview with David Letterman during his early years as a talk show host, Cher completely owned him at his own game. Letterman was desperate to get the singer on the show and after many persistent pleas, she finally caved in and appeared on the show in 1986. 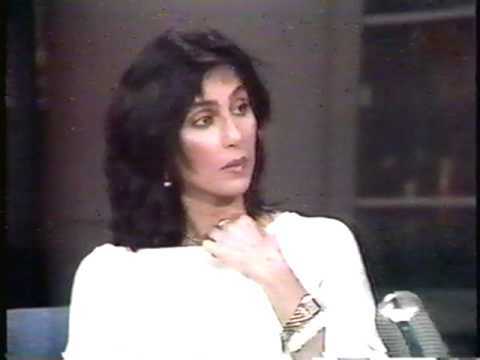 Then, when the host asked her why she refused to come on the show until now, Cher nonchalantly answered by claiming that he was an “A**hole.” Letterman was floored by her response. Even after all these years and firmly cementing herself as one pop culture’s most recognizable names, Cher still hasn’t been inducted into the Rock and Roll Hall of Fame. But she hasn’t let this omission bring her down and like a true rock star has just got on with her life. “I don’t need to be in a hall to rock,” she said in an interview with CBS. She is the only artist to reach number one in six consecutive decades. 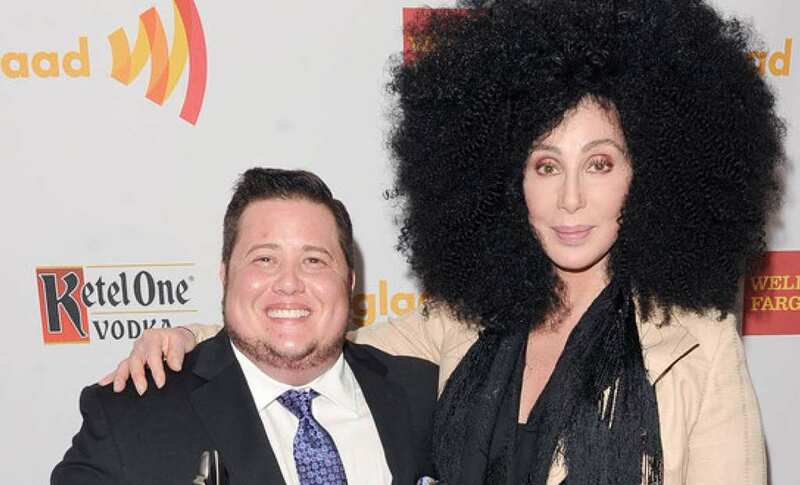 If you’ve been in the world of pop as long as Cher has, you’re going to make some close celebrity friends. 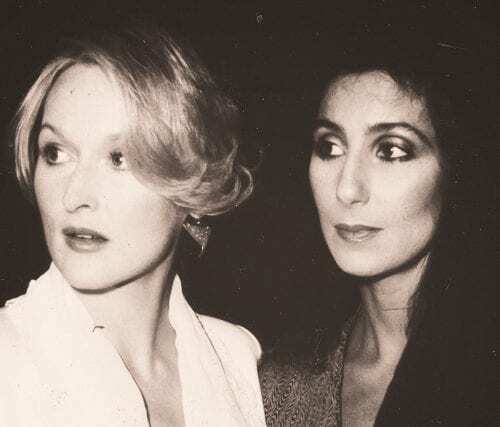 Meryl Streep is a prime example of someone that Cher keeps close to her heart. This was clearly evident when the pair joined forces in an amazing moment of spontaneity. When they saw a young lady getting mugged, they scared the assailant away. 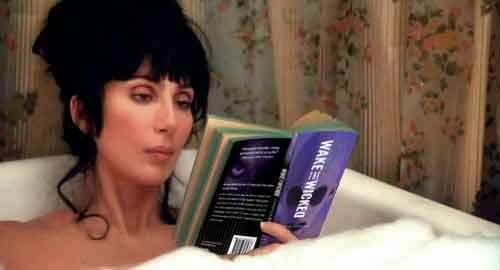 Cher and Streep’s team efforts also can be found in movies, particularly their Academy Award nominated hit, Silkwood. 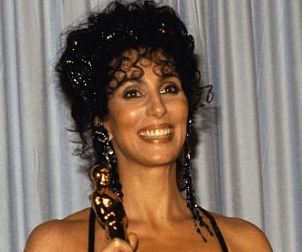 In 1988, Cher won the ultimate accolade in Hollywood, the Academy Award for Best Actress for her performance in the movie Moonstruck. While receiving the award and making an acceptance speech, she gave thanks firstly to her makeup artist. But as she ran through everyone else she wanted to give thanks to, she missed out Norman Jewison, the movie’s director. She was determined to make amends for her mistake and honored Jewison in a page of Variety magazine. Discovering that she is actually 1/16th Cherokee must have been funny for Cher after the success of her hit single “Half Breed.” But members of the Native American community didn’t see the funny side of Cher’s latest creative decisions. They considered the move offensive, especially after she wore a feathered headdress when performing the song. Critics also disliked the single, but this didn’t stop it from selling over 1 million copies and being certified gold. Her album was also commercially successful. Let’s take a step back to the beginning. 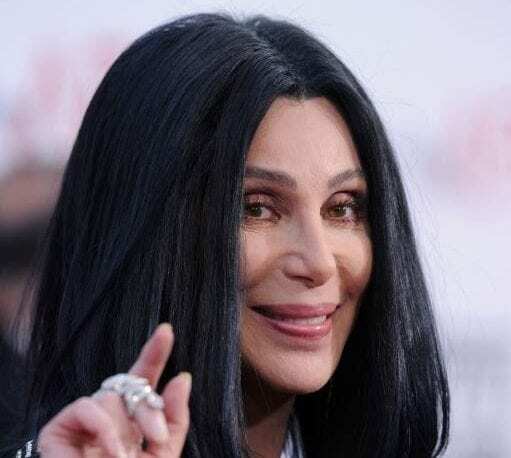 Although some details of Cher’s origins have been shrouded in mystery over the years, they have slowly unraveled through a variety of biographies. 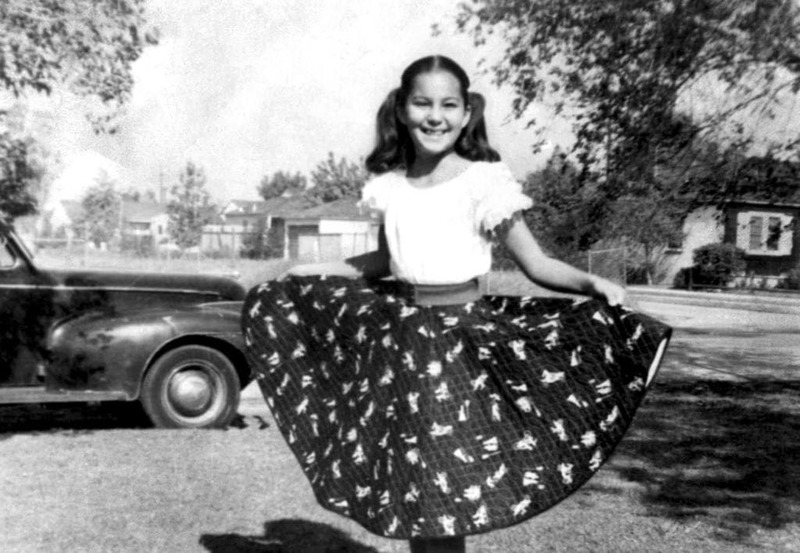 Her full name is Cherilyn Sarkisian and she was born in El Centro, California and parents John Sarkisian and Jackie Jean Crouch (better known as Georgia Holt) had a complicated relationship. John suffered from alcoholism while Georgia was preoccupied with work during Cher’s early years. As a musician, you’re lucky if you make it into the big time and release one successful album. 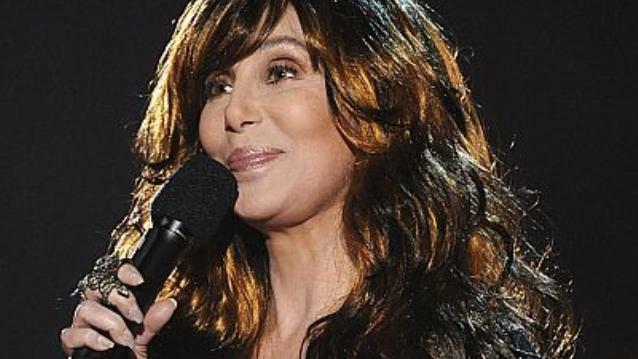 But in a career spanning more than sixty years, Cher has released 25! Some of her most commercially successful records include the 3x platinum Heart Of Stone and the nineties comeback album Believe. This particular album sold over 10 million copies and was a 4x platinum in the US alone. The success of Believe paved the way for the highly popular Do You Believe? Tour. 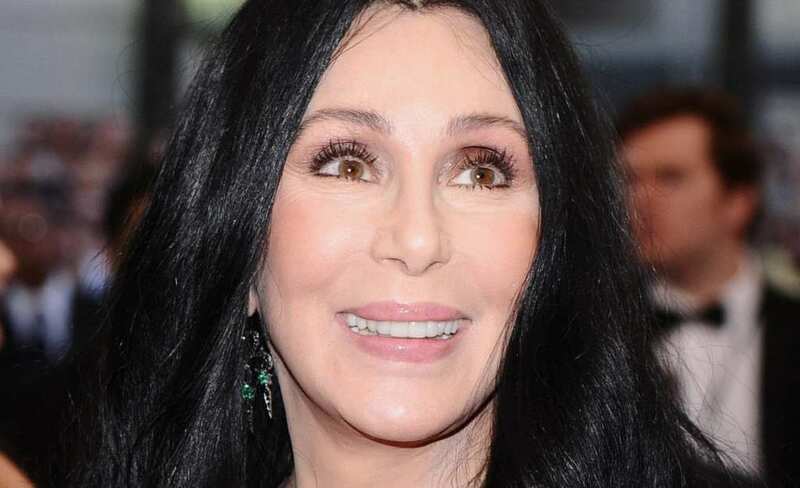 Despite many speculating that plastic surgery has been the key to Cher retaining her good looks into her later years, she asserts that it’s down to more natural reasons. 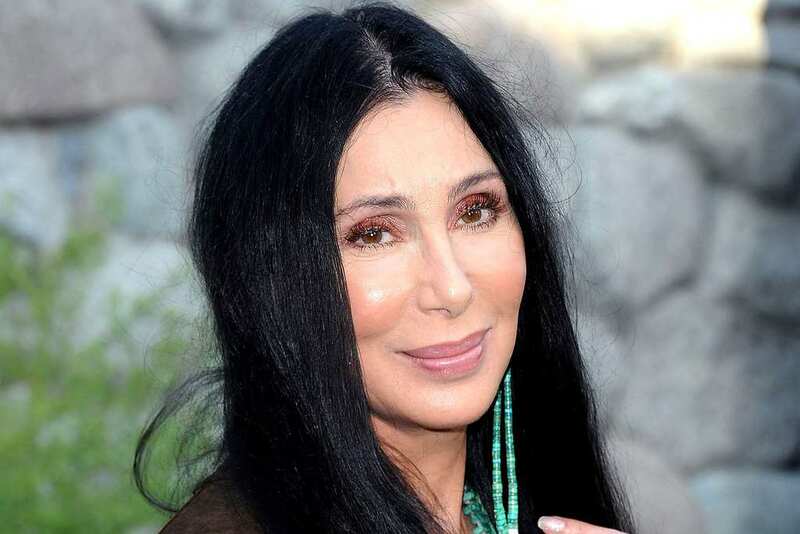 Cher believes that her good genes have a large part to play in her perfect skin. She said that “I don’t smoke, I don’t drink, I eat really good food.” She also gave thanks to her beauty team. “There’s a team of five dozen people, and it takes them two hours. That’s the truth,” she said. 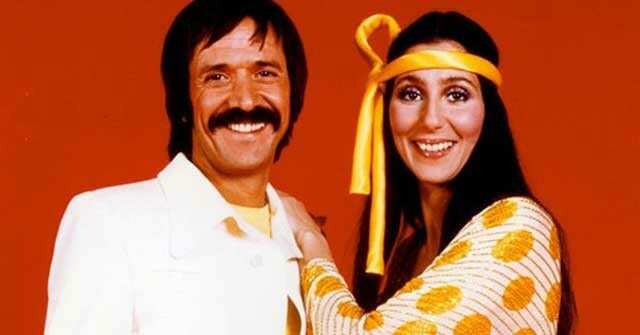 In 1972, Cher had a child with Sonny Bono – Chastity. 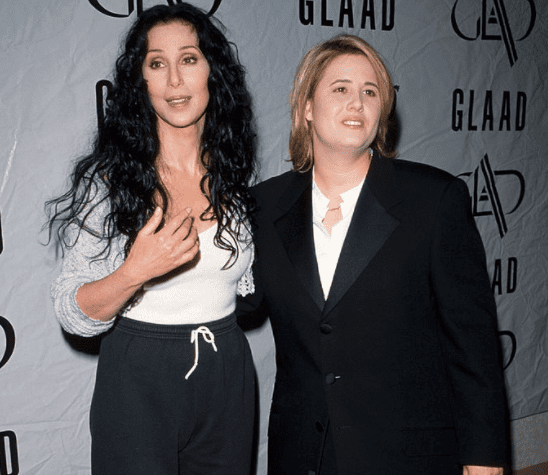 After playing a bisexual woman in one of her first roles in the movie Chastity, Cher and Sonny used the title as inspiration for their daughter’s name. Amazingly, it would prove to be extremely ironic when Chastity came out herself. She transitioned from female to male and became a huge figure in the LGBT community. 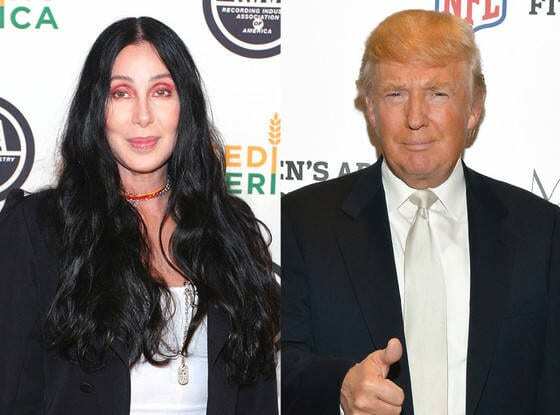 There was a time when Sonny and Cher couldn’t get a break in the music industry. So they switched focus and launched their own show called The Sonny and Cher Comedy Hour. The show proved to be the catalyst that put Cher on the map and earned the pair many Emmy Award nominations. The show attracted over 30 million viewers over the course of its three-year run. Now a popular TV personality, Cher had the perfect platform to restart her music career. Recently, a Broadway show has been in the works set to document Cher’s life. She gave the project the green light, allowing the production team to use some of her biggest songs to build the show around. The musical will chronicle big moments in her life, such as her time as a backup singer as well as her life with Sonny. 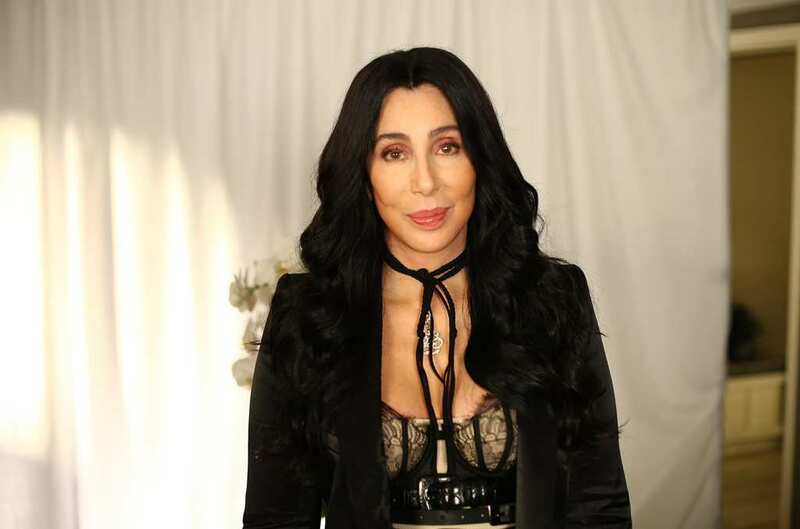 Cher is happy that the show is going to give fans a true insight into her life. 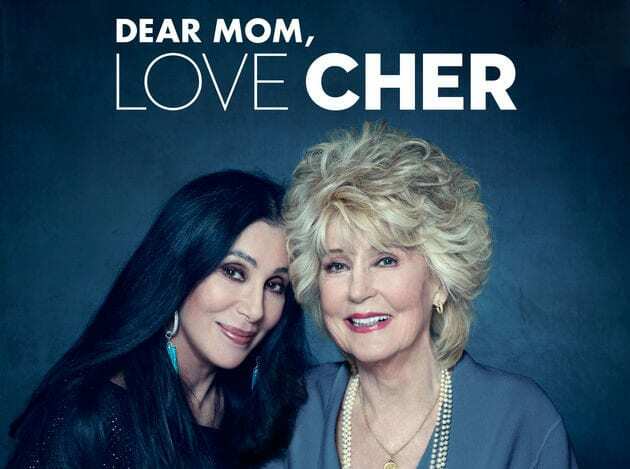 Looking back on her school years, Cher knows exactly why her time at school wasn’t always straightforward, especially because she struggled with both her reading and writing. She was diagnosed with dyslexia when she was 30 years old and believes that the condition explained a lot for her shortcomings in education. Although she enjoyed her years at school, her grades were poor. She thinks that had her teachers been aware of her condition, they would have treated her more fairly. 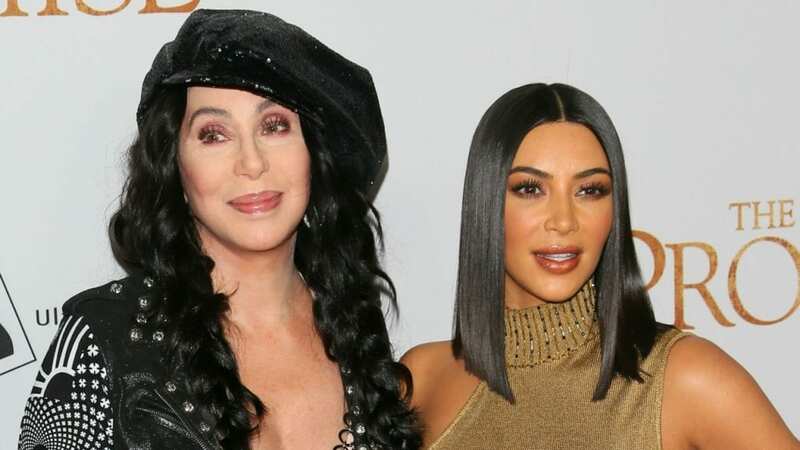 Since the rise of social media, it shouldn’t be too surprising that the ever relevant Cher has kept up with the times and is a popular user of sites such as Twitter and Facebook. The singer has over 3 million Twitter followers and over 2 million people follow her on Facebook. And it’s not only members of the public who admire Cher online. Kim Kardashian regularly cites her as one of her heroes, having posted several photos of her on Instagram. 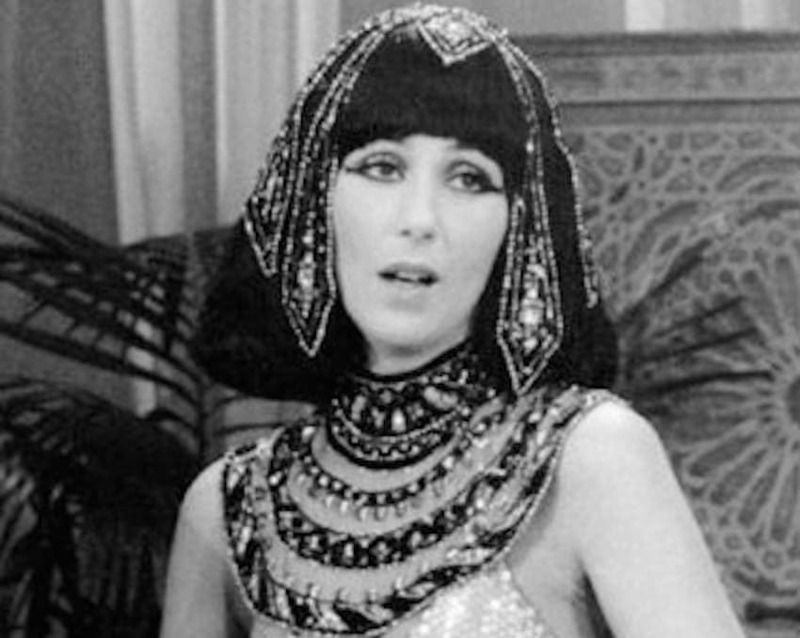 Beyond her show with Sonny, Cher wanted to make more appearances on both TV and film. This included a strange desire to play the mysterious Morticia in The Addams Family. But the role would ultimately go to Anjelica Houston. 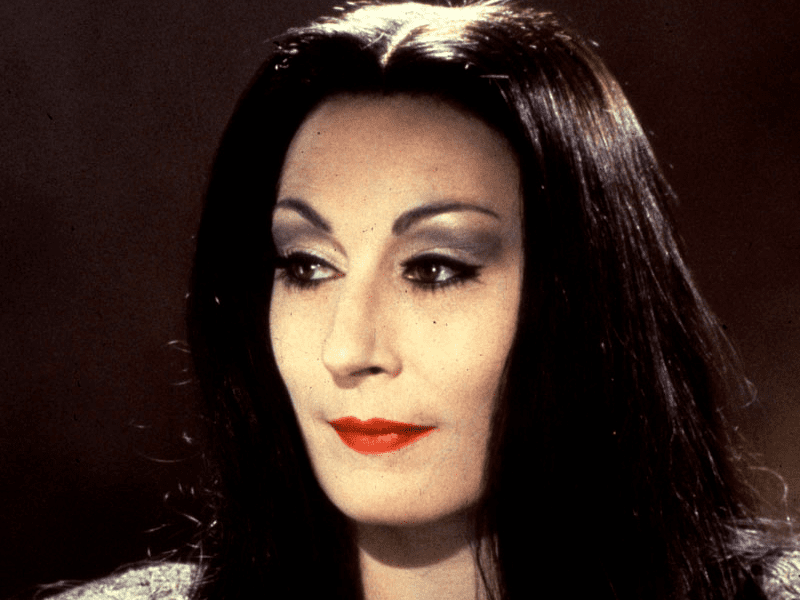 Despite her missed opportunity to play Morticia Addams, she had many other chances to prove to the world how good of an actress she truly is. As previously mentioned, she has starred in critically acclaimed movies and even won the Academy Award for Best Actress at one point. Long before Lady Gaga, one of the original celebrities to make it normal to wear the most outrageous dress imaginable was Cher. Some of her most iconic dress decisions include her black headpiece she wore to the Academy Awards in 1986. Also, we can’t ignore the Native-American apparel she wore in 1970 for her hit single “Half-Breed.” And if it wasn’t her choice of clothing that turned heads, it was something she said or a creative decision she made in her music. In the 80s, Cher tried her luck in Broadway. This was swiftly followed by her appearance in the critically acclaimed 1983 movie, Silkwood. In light of her stunning performance in the movie, she earned a nomination for the Academy Award for Best Supporting Actress. Starring alongside acting powerhouses such as Meryl Streep and Kurt Russell, Cher truly etched herself in Hollywood as a legend. She went on to feature in movies such as Suspect, The Witches of Eastwick, and Moonstruck. 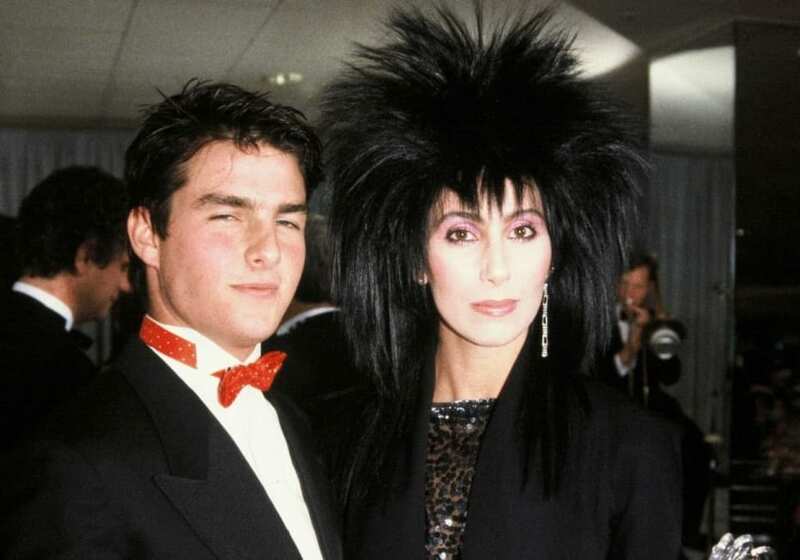 In the industries that Cher has worked in, it’s good to have at least a couple of friends to keep you on an even keel. Take Paulette Betts, for example, who is one of the singer’s closest friends as well as her personal assistant. Paulette had other ties in the musical world, as she also tied the knot with Dickey Betts, the guitarist for The Allman Brother Band. They had a son together by the name of Duane, before separating in the 70s. 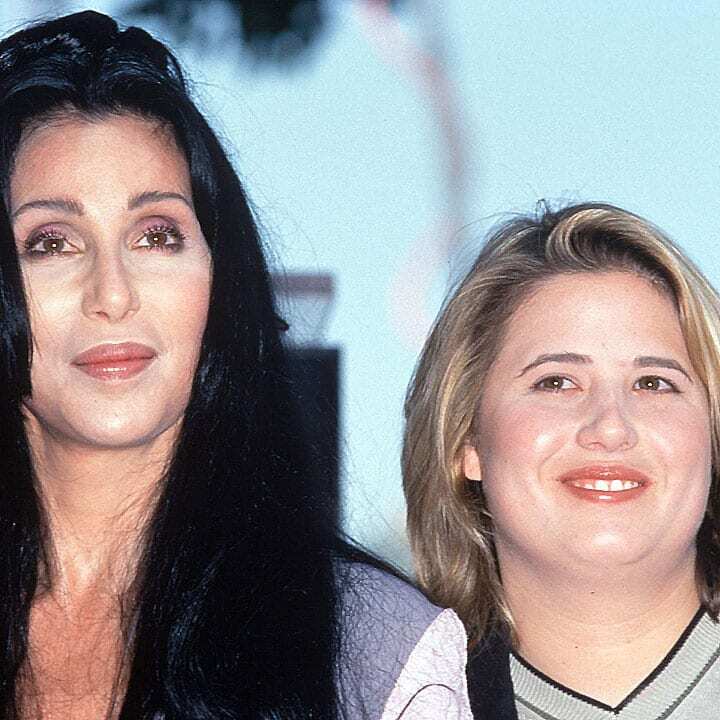 Despite not being for everyone, fans from all over the world warmed to Cher and Sonny’s outlandish hairstyles, apparel and excessive use of make up. This would make people refer to them as the “flower power” of the 60s. But it wouldn’t take long before their colorful but clean lifestyle fell off the radar. This was largely due to the rise of all things hedonistic and raunchy. Music and pop culture in America were changing at a rapid pace. After finding success in Hollywood, Cher went back in the studio and recorded a bunch albums, which all reached number one in the charts. As a result, she embarked on an epic three-year long tour called Living Proof: The Farewell Tour. The project eventually became the most commercially successful tour ever lead by a female musician. In 2008, Cher’s success reached new heights when she signed a deal worth $180 million. For three years, she headlined the Colosseum in Vegas’ Caesars Palace. When it came to film and music, Cher went back and forth between the industries throughout her career. After winning an Academy Award, she tried mixing her music and acting prowess together, starting with a role in the musical Burlesque. The movie also starred Christina Aguilera and Kristen Bell. Despite receiving mixed reviews, the musical’s soundtrack was nominated for a Grammy. 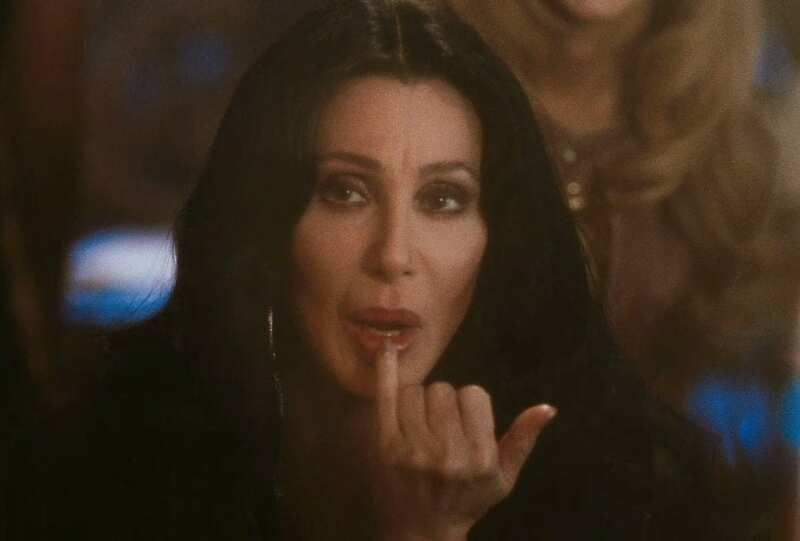 Also, critics praised Cher for her performance, believing that she provided the perfect blend of singing and acting. As a child, she had a long string of movie stars as heroes, which would ultimately pave the way for her own success in Hollywood. The most significant influence on her was from the legendary Audrey Hepburn. After watching her in the iconic movie Breakfast at Tiffany’s. The inspiration for Cher’s performances would become more and more apparent, as she wore similar outfits as the actress and even behaved like Hepburn. In an interview in 2008, she finally opened up about her rumored relationship with one of the biggest actors in the world, Tom Cruise. 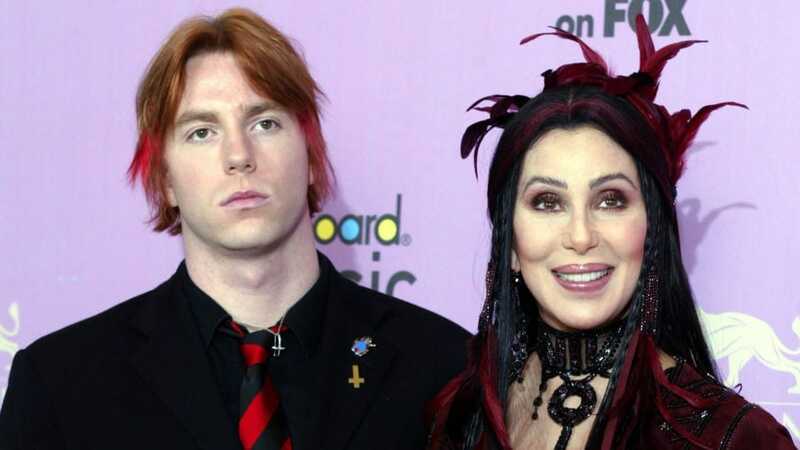 Cher admitted to being head over heels for Tom in the 80s, despite being 16 years his senior.